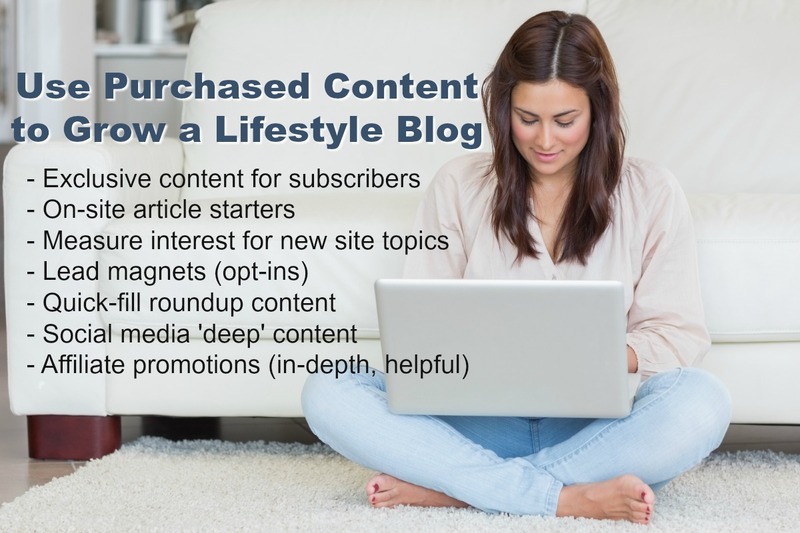 In a recent article on how to use PLR content, I defined when purchased content is a strong option to help a blogger grow and earn an income from their blog. 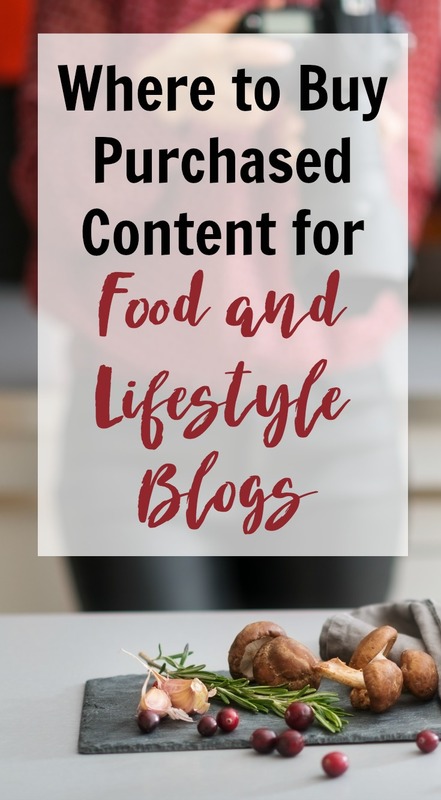 Today, I’m going to share some ideas on specific content ideas for food and lifestyle bloggers AND where to buy quality content. This article contains affiliate links which means, at no cost to you, I could make a commission if you purchase. Read my full (completely boring, yet legally on point) policy. Short On Time? Pin It! Don’t let the name fool you – I use Kitchen Bloggers‘ content and none of my sites are food blogs. This is one of my favorite places to use and send clients to in the food or lifestyle niches. 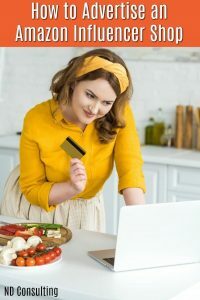 Read This Part: Here are some traffic-generating, money-making ideas on how to use purchased content. Create a download for lunch ideas for kids as a lead magnet. Monetize the article with affiliate links to lunch boxes or a roundup of lunch box supplies (reusable pouches, ice packs, water bottles, etc.). Give a tip and ask for more from your followers on social. Make each of the articles’ recipes and make a recipe round up for egg dishes (6 included recipes featuring eggs) which will probably go nuts on Pinterest. Eggs are easy and people like easy. Show the list to your family and get them to choose a recipe to make together. 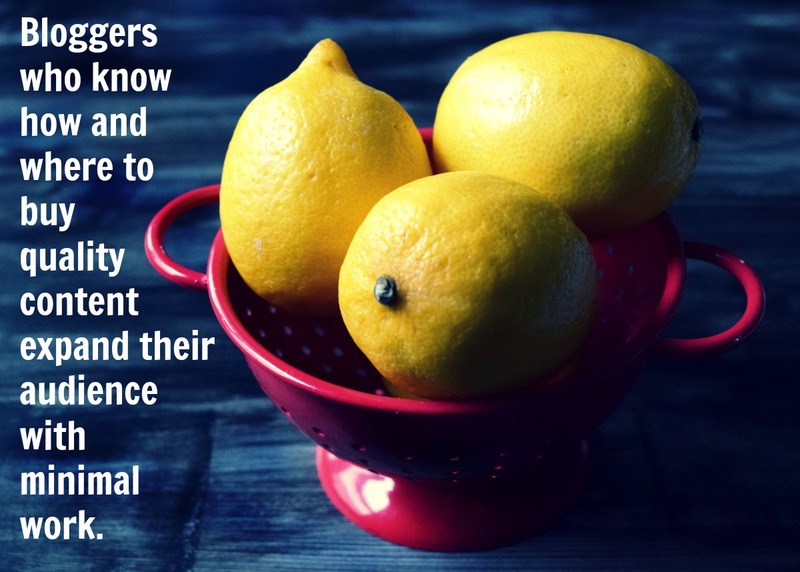 Let them help you write a post by contributing what they liked about the process and the recipe. Again – this is now YOUR recipe, so you can change it up as you see fit. Affiliate links for any number of the tips included in this pack. For example, herbs to grow in your kitchen, when a cup is not a cup, and alternatives to Easter candy all lend themselves to killer earning potential! Create an “Are you new to the [food-focus] lifestyle?” guide. Go to CJ, ShareASale, or Affiliate Window and look for gluten-free partners. Or use amazon links to packaged flours, alternative products not easily found locally. Create a recipe plan using the recipes and position it as a minimize waste and maximize dollars spent article. You could even create a meal plan (which are SO popular it’s crazy)! 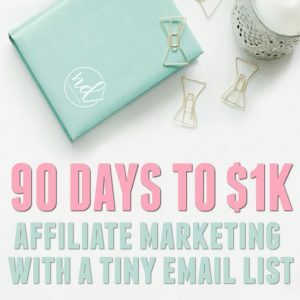 Make a recipe, take your own photos, and submit it as a guest post for a gluten-free niche site to get additional exposure, domain authority ranking, and link juice on the [food focus] term. 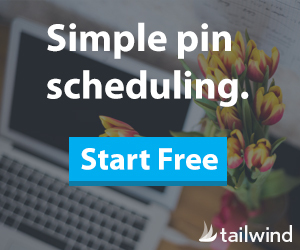 Put the tips into an opt-in download to grow a specialty section of your newsletter. Building up specifically tagged groups for newsletters helps you earn later! This is one of all-time my favorite packs because it can be used on nearly every site! Summer fun series which addresses the best cookout recipes, book reviews, crafts for summer, and even the best outfits for summer get-togethers.Y’all – this is the BEST PACK because it can be used by everyone. And you know I’m serious because my Southern girl just came out! Create a giveaway featuring these articles, sourcing major brands to donate (grill, melamine dinnerware, lanterns, patio furniture, décor, party supplies, etc.). Use the recipes (as-is with different stock photos or your own) to share quick recipes on social media as an “Easy Summer Series.” You can be seen by your Facebook or Instagram followers as a deep content provider (no click-through to your site required). Put together a grilling guide meal plan as an opt-in or thank you gift for your newsletter. Very professional, a clean writing style, and an easy checkout and delivery make All Niche PLR a great site from which to buy! 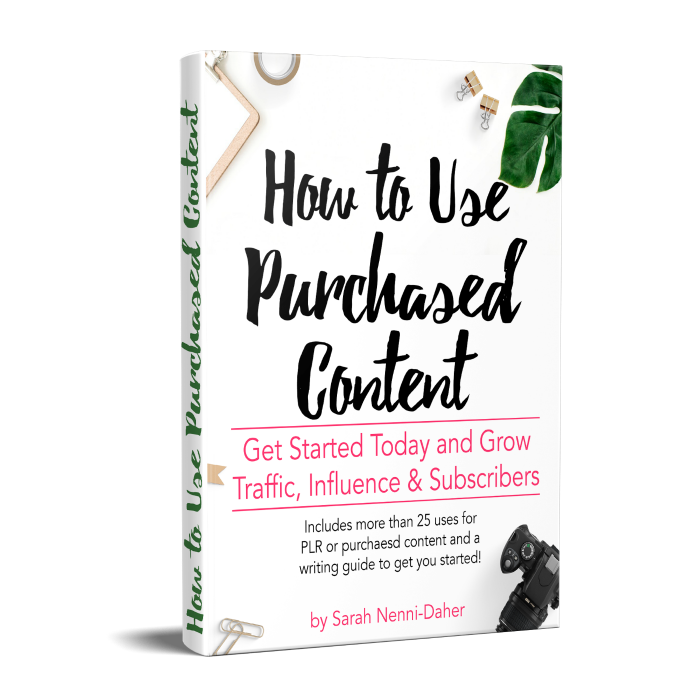 And if you didn’t read my previous article on how to purchase and use PLR content, I mentioned one of the most amazing deals: you get 50% off your first order! Score! One of the best ways I’ve used this content is to deliver tips on social media. 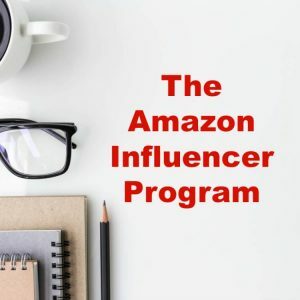 Bite-sized snippets from the PLR content make it easy for me or a virtual assistant to put together a branded image of tips. If you follow along on NDC’s Instagram (you can do that here), you’ll start to see some photography tips. I’ve been working on my photography skills instead of outsourcing the task, and thought this photography pack would yield some great tips in an easy to digest format. I wasn’t disappointed. This is the pack I purchased. You don’t have to use it this way. I know many lifestyle and fashion bloggers who give tips to their readers for family photos with seasonal posts (included in the pack) or articles on how to get shots of moving targets (also included in the pack)! If you’re looking for Earth Day content or snippets to share on social, the 10 Eco-Friendly Articles pack might be just what you need to quickly and easily provide quality content to your followers. She has a few parenting packs with articles that will have you chuckling, as well. And with the 50% off coupon, 10 articles comes out to $5. TOTAL! Knowing where to buy purchased content can expand your knowledge base and authority on a subject. One of THE MOST WELL-KNOWN and respected sources of PLR providers is Content Sparks. They do not produce surface-level writing pieces or high-level summaries. This in-depth, quality work makes it easy to use as nearly ‘done for you’ lead magnets, series, or challenges. 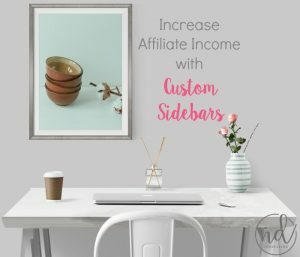 Not only will you pick up a thing or two in order to help your traffic grow, but you can repackage this into a very lucrative draw for this subset. 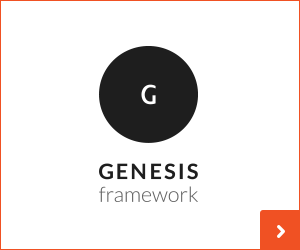 It’s full of 10 modules (or articles if you want this to be a series on your site) which range from beginner to intermediate, so there is something for everyone. As an example, on your “How to Start a Blog” landing page, you should gift them a traffic guide if they use your affiliate link for hosting! 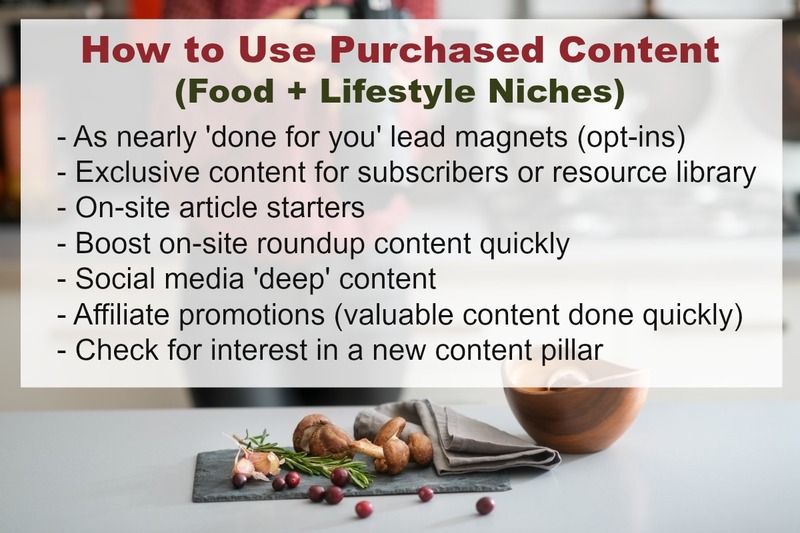 Immediately, you’ll be seen as a valuable resource and you don’t have to pull yourself too far away from your primary content pillars to do so. Bloggers who know where to buy purchased content expand their audience with minimal work. They know how to work smarter, not harder. The Elite VA group is my favorite group for quality, exclusive content and ISO (in search of) requests. If you’re not a food blogger, the Elite VA group will support you, too! I’ve purchased roundups (legally and ethically sourced, including images) many times. I’ve also hired content writers to create custom pieces and have purchased them on specials, making them very affordable. 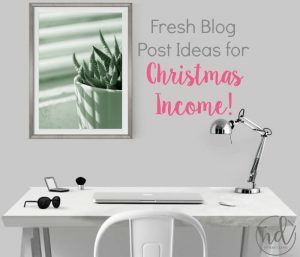 The VA for Hire group is a great group to get printables, roundups, and semi-exclusive content (sold to more than one blogger, no duplicate images). 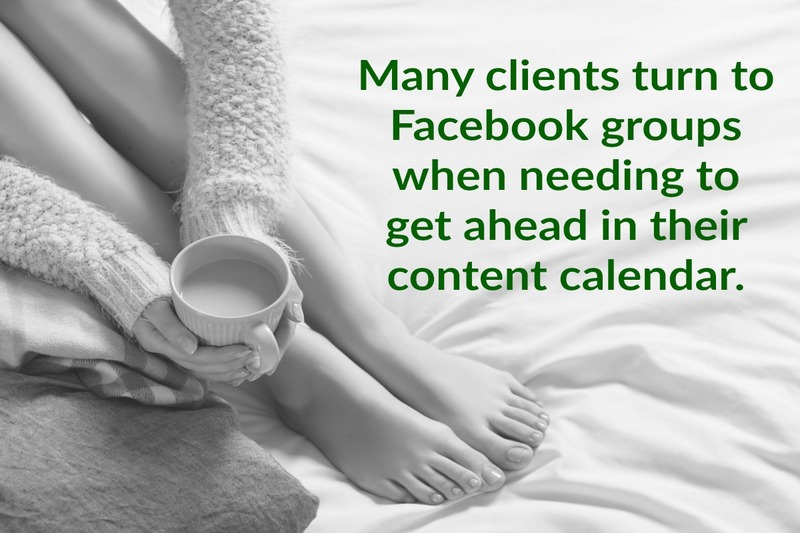 Consulting Tip: Many clients have turned to this group when needing to fill in their content calendar in order to get some time to work on developing momentum on a goal. The content in this group is very reasonably priced (I’ve purchased exclusive original content for $8 at times)! The group moves very quickly and if you find someone you really like, ask them to tag you when they post. 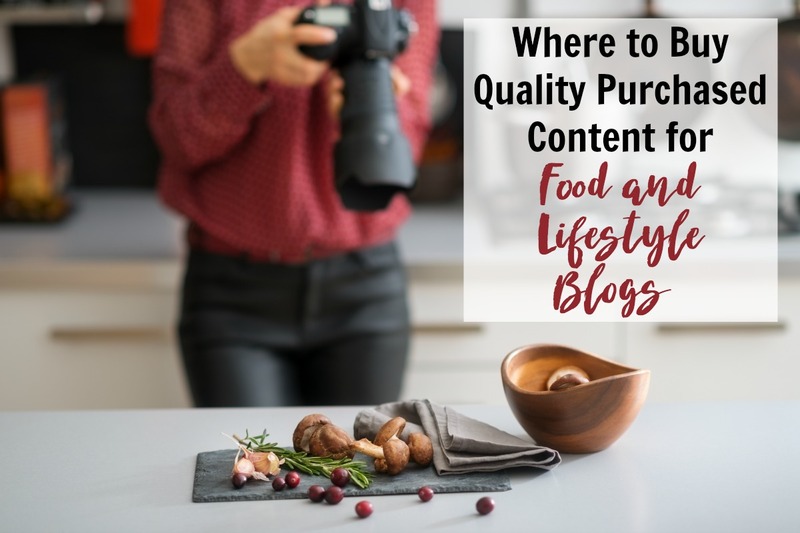 Knowing where to buy purchased content for food and lifestyle bloggers can catapult a blogger to the next level. 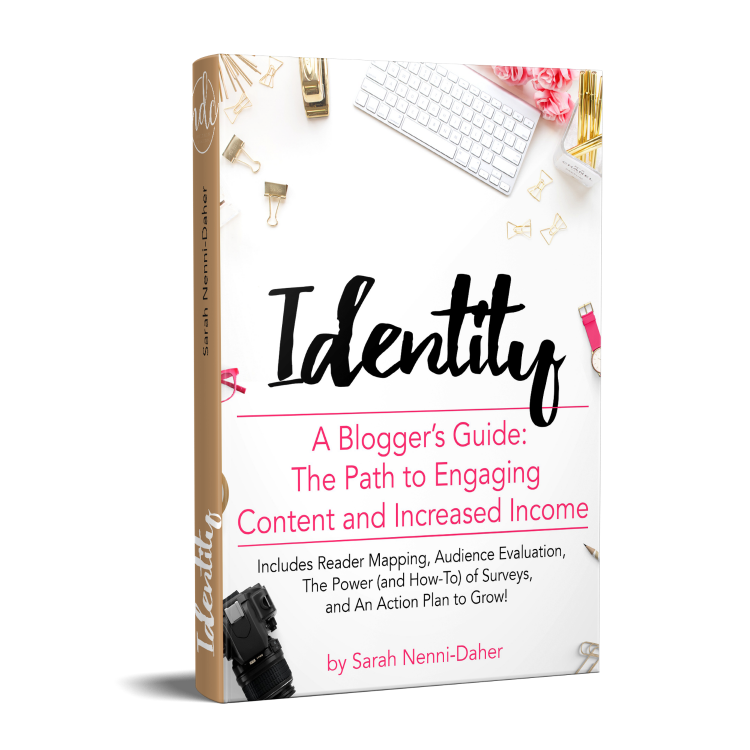 Please share this in your favorite blogging group on Facebook and help elevate everyone! This article is SO helpful!! Thank you so much!! My head is spinning with all the ideas!